Renegade Aircraft has been working hard, in conjunction with Lycoming engines, to prepare the Renegade (formerly known as the Falcon) for the first-ever installation of the lightened O-233 Lycoming powerplant. As this video is posted to ByDanJohnson.com, that engine install has been completed and final evaluation is proceeding. Hear more with proprietor Doc' Bailey in this video. Renegade Aircraft has been working hard, in conjunction with Lycoming engines, to prepare the Renegade (formerly known as the Falcon) for the first-ever installation of the lightened O-233 Lycoming powerplant. As this video is posted to ByDanJohnson.com, that engine install has been completed and final evaluation is proceeding. Hear more with proprietor Doc’ Bailey in this video. 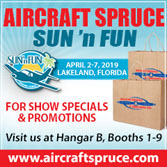 Of all the bright, colorful airplanes in the LSA Mall at Sun 'n Fun 2009, the Falcon had a distinction that sets it apart from all other models and endears it to experience general aviation pilots: Falcon LS is powered by a Lycoming O-235, a brand familiar to many. Of all the bright, colorful airplanes in the LSA Mall at Sun ‘n Fun 2009, the Falcon had a distinction that sets it apart from all other models and endears it to experience general aviation pilots: Falcon LS is powered by a Lycoming O-235, a brand familiar to many. See the DeLand Airport Sport Aviation plan (note: this is a 9 MB download). At first, it all seemed rather unlikely to me. I refer to the concept of racing LSA. On the one hand you have a giant company with a global presence putting on the Red Bull Air Races. What a way to sell a caffeinated beverage. It works. It's very showy. It might even induce some race watchers to take up flying. When the aircraft are not touring the race circuit, they occupy luxurious space in the fanciest hangar on the planet, Red Bull's Hangar 7 at the Salzburg Airport in Mozart's former home town in Austria (photo). On the other hand we have Light-Sport Aircraft, a fairly new sector in aviation, now with one decade of history. Being in the distinctly affordable end of aviation, money does not flow as it does from Red Bull. Yet that does not mean LSA will fail to join in the air race fun. Put a man like Doc' Bailey in charge and things happen despite the odds. Doc', a 15,000-hour military chopper pilot, runs Renegade Light Sport Aircraft. Relocating from Missouri, he went to Fort Pierce, Florida's municipal airport. That didn't turn out to be the right answer and he instead found a home — and a seat on the advisory board — at DeLand, Florida's airport, a place I recently visited. Indeed, Doc' is a man who, some say, casts a big shadow in Light-Sport aviation. Bailey became known for working to install Lycoming engines on LSA like his Falcon. He's swimming upstream — but making progress — toward what he calls "SPAR," for the Sport Pylon Air Races. I admit when I first heard Doc' talk about this I thought he was spitting into to a light-aircraft-upsetting wind. However, he continues to take steps and now may have the right venue for such an event. The DeLand Airport has welcomed Doc' and his airplane building operation. That's hardly a surprise as this is the home of a 35-year-old sky diving operation with dozens of businesses supporting or feeding off that activity plus numerous aircraft companies including U-Fly-It, Aero Adventures, and Aeroprakt America. Recently I visited the Deland airport, to get a full tour by new airport manager (though longtime airport board member), John Eiff. More on Deland's ambitious plans in a minute. After hearing John's enthusiasm for Light-Sport Aircraft — which he sees as the growth area of aviation, an impression many others share — I can imagine the SPAR course being erected at Deland. Deland's airport is a very short hop by plane from my home airport of Spruce Creek Fly-in, the world's large private airport and sprawling aviation community (see red dot on the nearby map image). By car, historic Deland is less than 25 minutes away. That's convenient for me but also puts the air race concept only a short drive from the world famous Daytona Raceway, an auto race enterprise that draws crowds enormous enough to dwarf even professional football (a reported 400,000 racing fans attend the Daytona 500 and the ever-expanding business hosts evens year 'round). 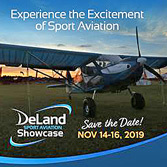 More than welcoming many sport aviation businesses, Deland has some grand plans for something called the Light-Sport Village — although they've since rebadged it as the Sport Aviation Village to make it better understood by the non-flying city officials who are not as well versed in aviation terms. 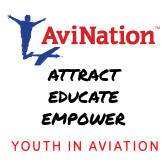 This might be viewed as a business incubator and light aviation companies contemplating a move may want to consider what they offer here in the Sunshine State. Those business owners can speak to John Eiff at the Renegade tent at Sebring next week (January 14-17th). I know I will be following this development and Doc's Sport Pilot Air Races. ...Gentlemen, start your engines. At first, it all seemed rather unlikely to me. I refer to the concept of racing LSA. On the one hand you have a giant company with a global presence putting on the Red Bull Air Races. What a way to sell a caffeinated beverage. It works. It’s very showy. It might even induce some race watchers to take up flying. When the aircraft are not touring the race circuit, they occupy luxurious space in the fanciest hangar on the planet, Red Bull’s Hangar 7 at the Salzburg Airport in Mozart’s former home town in Austria (photo). On the other hand we have Light-Sport Aircraft, a fairly new sector in aviation, now with one decade of history. Being in the distinctly affordable end of aviation, money does not flow as it does from Red Bull. Yet that does not mean LSA will fail to join in the air race fun. 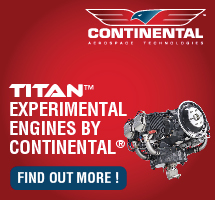 In the world of FAA-accepted Light-Sport Aircraft, engines choices have been limited to Rotax, Jabiru, and HKS adding to updated versions from certified engine producers such as Continental and Lycoming plus the big Titan engine from ECi. Now, according to the U.S. importer, that rather exclusive club is joined by Belgium's D-Motor, while earlier reports suggested the UL Power engine is also pursuing ASTM compliance. "We invested 500 hours testing the LF26 D-Motor from summer to fall," said Doc' Bailey of Renegade Light Sport, the importer. ASTM requires 100 hours testing by the airframe manufacturer before the engine can be accepted by FAA for installation on a Special LSA. Doc' has been in regular contact with the Light-Sport office of FAA. The agency does not audit powerplants the same way as airframe manufacturers, partly as the airframer must add to the engine builder's testing, but it does keep track of which components the airframe maker has tested. Producers of EAB kits do not need to meet this requirement explaining why new engines often build their market in the kit industry. D-Motor reports four essential qualities that make their engine attractive. Compact — Flathead instead of overhead makes the engine smaller despite big cubic capacity (more than double that of Rotax's 912). Simple — Flathead design is much simpler without rocker complexity. Light — Extra weight of liquid cooling is compensated by the flathead design; liquid cooling reduces thermal shocks or hotspots and improves fuel efficiency while lowering emissions. Strong — Larger cubic volume results in high torque. 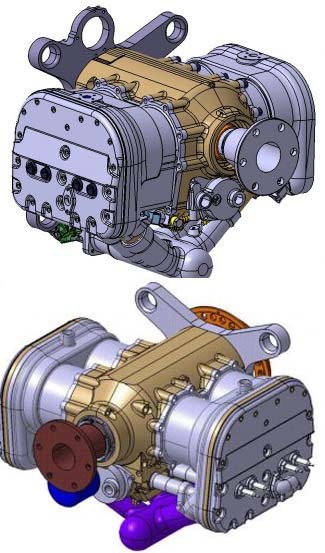 Direct drive was chosen as D-Motor feels more comfortable with a big engine running lower revs, however, engineers incorporated Nikasil cylinder treatment used on high-revving engines. Safety — "When a valve of an overhead engine does not close the engine stops resulting in expensive repair," according to D-Motor. "When a valve of a side valve engine does not close, you continue flying with less power without expensive repairs." As I've learned through the evaluation of many airplanes, engine cooling is both a critical engineering challenge that is also something of an art. Certainly it can be of vital importance, both to engine power and longevity. "During testing, cooling of the D-Motor LF26 showed only 10 degrees fluctuation during testing in the hot months of July and August through October," noted Doc'. This result suggests good things for the life of the powerplant. In another demonstrable benefit, torque of the engine appears significant. Doc' indicated that the Belgian factory claims torque at 280 newton meters versus 140 for the Rotax 912. 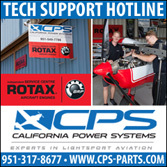 The Rotax BRP website lists torque at 128 newton meters (94 foot pounds). D-Motor's website also shows "91.8 hp (67.5KW) at 3000 RPM" for the 2690 cc four cylinder, four stroke, liquid cooled engine while Rotax states "73.5 kW or 98.5 horsepower." The company's American website, reports "The D-Motor is [a] four-stroke side valve (flat head) boxer engine using the latest technology, including multipoint fuel injection, electronic ignition and liquid cooling." Price in the USA is $18,500 for the LF26. While this is modestly less than a carburetor 912ULS it is several thousand less than the also-fuel-injected 912 iS. "The real game changer is the six cylinder LF39 engine that is well along in testing," feels Doc'. The larger engine is expected to offer about 125 horsepower while coming in a forecast several pounds under the four cylinder, 100 horsepower 912. Comparing engine weight is devilishly difficult as components for different installation can vary. D-Motor in Belgium wrote, "The final dry weight of the four cylinder LF26 engine is 58 kilograms or 128 pounds and the final dry weight weight of the six cylinder LF39 is 78 kilograms or 172 pounds." Wet weight depends on the radiator choice and the length of the hoses but the manufacturer reports, "63 kilograms (139 pounds) for the LF26 and 85 kilograms (187 pounds) for the LF39." The six cylinder engine is presently under development although with more than 100 hours of testing completed. "Because this engine is very similar to the four cylinder with many common parts that have already proven to be reliable," wrote D-Motor Belgium, they expect to launch this engine in a relatively short time. Both engines are delivered very complete. "This is the equivalent of a firewall forward kit," said Doc'. Delivered components include: integrated alternator, water pump, oil pump, electric starter, rubber mounts, fuel pump, fuel filter, injectors, 2 ignition coils, sparkplugs and ignition leads, ECU and loom, 2 water temperature sensors, oil pressure and oil temperature sensor, oil radiator, filter, and tank, and adaptable exhaust kit. A liquid cooling system (radiator, hoses and expansion tank) are not included as equipment varies for different cooling configurations. "It is too difficult to anticipate a solution for every installation," said D-Motor. They report actual TBO time is 1500 hours. In the world of FAA-accepted Light-Sport Aircraft, engines choices have been limited to Rotax, Jabiru, and HKS adding to updated versions from certified engine producers such as Continental and Lycoming plus the big Titan engine from ECi. Now, according to the U.S. importer, that rather exclusive club is joined by Belgium’s D-Motor, while earlier reports suggested the UL Power engine is also pursuing ASTM compliance. “We invested 500 hours testing the LF26 D-Motor from summer to fall,” said Doc’ Bailey of Renegade Light Sport, the importer. ASTM requires 100 hours testing by the airframe manufacturer before the engine can be accepted by FAA for installation on a Special LSA. Doc’ has been in regular contact with the Light-Sport office of FAA. The agency does not audit powerplants the same way as airframe manufacturers, partly as the airframer must add to the engine builder’s testing, but it does keep track of which components the airframe maker has tested. Falcon, which uses Lycoming's LSA powerplant entry, was shown in front of the engine manufacturer's tent at AirVenture Oshkosh. For 18 months, we haven't seen much of a sleek low-wing airplane called the Falcon LS. Even its name was challenged by French bizjet maker, Dassault Falcon, because ... well, you know, someone might be confused. However, Renegade Light Sport Aircraft operator Doc' Bailey is not an idle man waiting for the weeds to grow between his toes. He's been busy creating his SPAR race circuit and — even though he had to relocate again after moving from Missouri to Florida (he's now happily quartered at the sport aviation-friendly Deland airport) — Doc' has been quietly plugging away on his Falcon line. He's also kept his spare time to a minimum representing the D-motor video and the B.O.T. Super Cruiser, while simultaneously creating his Lil' Rascal version of the Pitts S1 biplane. OK, so he's busy but what about Falcon? VX Aerospace is an advanced composites company near the Appalachian Mountains in Morganton, North Carolina. 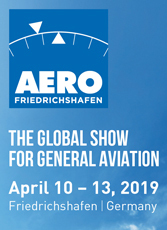 "VX Aero designs and manufactures a wide range of tooling and parts for automotive and heavy-truck applications, and even carbon fiber-reinforced composite ceiling fan blades, aerospace structures are its core competency, wrote editors of Composites World online. VX's top engineer and founder is Bob Skillen — a degreed aerospace engineer and ex-U.S. Navy F-14 aviator with more than 25 years of experience — who has taken on the project of fabricating all carbon components of the Renegade's Falcon. On May 1, 2014, Composites World wrote, "Currently, two composite aircraft projects occupy the company's 17,000 square foot production space. The first is the Falcon, a sleek, low-wing, high-performance sport aircraft esteemed by some as "the Ferrari of light aircraft." Originally built in Hungary, a handful of the planes made it to the U.S. before the manufacturer, Corvus, went bankrupt. A groundswell of demand spurred an effort to put the plane into production in the USA. Via a memorandum of understanding with Renegade Light Sport Aircraft (Deland, Florida), VX has assumed responsibility for design, engineering, tooling and manufacture of the Falcon airframe, while Renegade controls sales, marketing and FAA certification." In a telephone interview, Doc' was effusive about the capabilities of VX Aerospace and he anticipates the arrival of all CAD-redesigned parts in Deland where his team will begin producing Falcons. He did not expect the first airplane by AirVenture 2014 but hopes the model will fly shortly afterward. 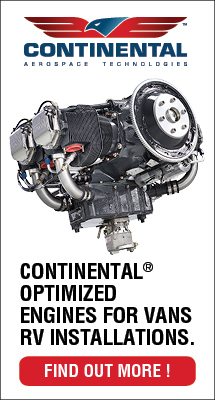 The majority of LSA are powered by Rotax and a good number are propelled by Continental, while few use the Lycoming. However, this powerplant is a favorite of many American aviators and Renegade is leading the charge to use them. Doc' has installed the newest LSA-version of the Lycoming IO-233 on his Falcon LS. "The IO-233-LSA is a sister of the ubiquitous O-235 (powering the majority of Cessna 150/152′s flying today) sharing most major components," reported Doc'. Lycoming's IO-233-LSA accepts both no-ethanol mogas and avgas and offered fuel injection even before Rotax introduced their 912 iS in 2012. "Lycoming also includes a triple-redundant, dual-electronic ignition system for increased simplicity and decreased weight," added Bailey. 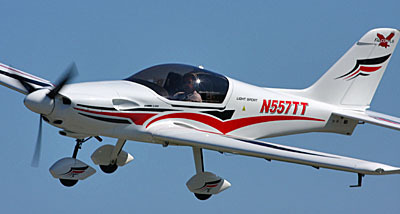 The Falcon LS was reportedly the first airframe to fly the new IO-233 on October 6, 2010. For 18 months, we haven’t seen much of a sleek low-wing airplane called the Falcon LS. Even its name was challenged by French bizjet maker, Dassault Falcon, because … well, you know, someone might be confused. However, Renegade Light Sport Aircraft operator Doc’ Bailey is not an idle man waiting for the weeds to grow between his toes. He’s been busy creating his SPAR race circuit and — even though he had to relocate again after moving from Missouri to Florida (he’s now happily quartered at the sport aviation-friendly Deland airport) — Doc’ has been quietly plugging away on his Falcon line. He’s also kept his spare time to a minimum representing the D-motor video and the B.O.T. Super Cruiser, while simultaneously creating his Lil’ Rascal version of the Pitts S1 biplane. OK, so he’s busy but what about Falcon? VX Aerospace is an advanced composites company near the Appalachian Mountains in Morganton, North Carolina. Pilots, Start Your (LSA) Engines! Doc' Bailey visits with aerobatics legend, Patty Wagstaff ... (watch our video interview with Patty). In aviation, one of our most noteworthy events is the Reno Air Races. Sadly, that longtime and much storied race series has an uncertain future due to leadership challenges and rising costs. While those organizers sort that out, here comes busy LSA entrepreneur Doc' Bailey, who seems never to sit still for long. Doc' is the man behind Renegade Light Sport Aircraft, builder of the Falcon (more on that at the end), the installation of Lycoming O-233 engine on various aircraft, the importer of the B.O.T. Super Cruiser and the D-Motor engine, and a participant in training wounded U.S. soldiers in hand-controlled Light-Sport Aircraft. His latest push is for SPAR, the Sport Pilot Air Races. Create a mental picture of the Red Bull Air Races but flown in powerful LSA or light kits and you'll get the basic idea (albeit without the fantastic ad budget). SPAR organizers say the basic idea is a single aircraft being timed while running through a closed course (see nearby diagram). "Sport Planes will explode through a series of twists and turns between, around these exciting obstacles we call 'Pylons'," Doc' reported. "These are real LSA Sport Planes; all the planes are set up to be completely stock and completely equal in every respect. SPAR is designed so that no pilot has the advantage of a superior aircraft over another pilot." Simply the idea is to lets pilot skills compete. Doc' plans both monoplane and biplane categories and more distinctions as the plan progresses. "We will use fuel quantities and ballast to ensure the aircraft and pilots will all weigh in equally. This ensures that no pilot, plane, or team has a weight advantage over another competitor." Renegade's Mizzourah Tail Dragger is one likely entry as is their new Lil' Rascal. Both are Lycoming powered; Doc' is a big fan of the U.S. powerplant. Another new entry is SPA's Panther, a hot single place made for aerobatics (video). The idea according to Doc' is, "Each aircraft will race against four of its siblings to form a division of totally equal racers. Then for the grand finale each division winner will race for the grand champion at the end of the day. Spectators will find out who's the best pilot for all the divisions." Such closed course air racing, as made famous worldwide by the high performance teams flying in the Red Bull events, are very suitable for TV as the aircraft can generally be kept in sight at all times much like oval track auto racing. Bailey reported, "First to be involved was Patty Wagstaff, the 'First Lady of Aerobatics.' We are proud and honored to have Patty involved with the SPAR Circuit." Doc' has been forming a board with interest from other air racing experts. We shot a video with Doc' on the SPAR concept and will post that on our LSA Video pages as soon as it is edited and uploaded. And now ... from the If-You-Can-Believe-This Department: Renegade Light Sport Aircraft received a "cease and desist" letter from Dassault Falcon, maker of high end business jets, called, wait for it ... Falcon, in models 2000S to 7X. Seems they're concerned that customers or the public might see the little two-seater LSA Falcon and confuse it with a $25-50 million bizjet. While I recognize and respect the value of a brand that seems a bit of a stretch to me. Corporate counsels have to justify their executive pay, I suppose, and so Doc' is resigned to the likelihood of having to change the name of his low wing composite LSA. He said the company (and its predecessor) has used the name Falcon for several years without a challenge. Evidently they just popped up on the radar of the big French company. Meanwhile, Doc' continues like all entrepreneurs and forges on ahead. Good luck, Doc' ... both with the rebranding effort and with SPAR. The latter appears to offer a promise to gain more publicity for Light-Sport Aircraft. In aviation, one of our most noteworthy events is the Reno Air Races. Sadly, that longtime and much storied race series has an uncertain future due to leadership challenges and rising costs. While those organizers sort that out, here comes busy LSA entrepreneur Doc’ Bailey, who seems never to sit still for long. Doc’ is the man behind Renegade Light Sport Aircraft, builder of the Falcon (more on that at the end), the installation of Lycoming O-233 engine on various aircraft, the importer of the B.O.T. 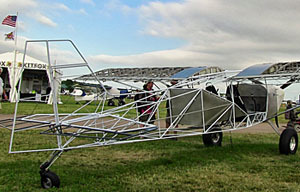 Super Cruiser and the D-Motor engine, and a participant in training wounded U.S. soldiers in hand-controlled Light-Sport Aircraft. His latest push is for SPAR, the Sport Pilot Air Races. Create a mental picture of the Red Bull Air Races but flown in powerful LSA or light kits and you’ll get the basic idea (albeit without the fantastic ad budget). SPAR organizers say the basic idea is a single aircraft being timed while running through a closed course (see nearby diagram). Falcon 2.0 makes maiden flights with Lycoming's IO-233-LSA 116-hp engine. Attendees check out the 233 at Midwest LSA Expo. I got an email today from Christopher “Doc” Bailey of Renegade Light Sport that the Falcon 2.0 just made its maiden flights with the brand new Lycoming IO-233-LSA engine. *** A video Doc linked to me gives the salient details. The Falcon LS was initially imported by T&T Aviation which sold the distributorship and inventory to Doc and his partners last July, as posted here earlier. 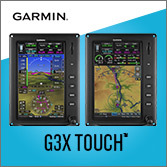 You can read more on Doc's ambitious plans to market 100 of these beauties with standard synthetic vision EFIS panels from Grand Rapids Technologies for $125,000 in my column due out next month. Falcon is the very first airplane to fly with the Lyc 233. Renegade is working with Lycoming and Champion Electronics to develop it. *** “We’ll fly it over the next few months,” says interviewer and 35 year Aeronautical Engineering Professor Fred Schieszer, “and report back to Lycoming and Champion, which is developing the electronic ignition system. But after today’s flights, everybody has big smiles!” *** Test pilot Rob Runyon made four hops totaling thirty six minutes. “Liftoff took 500 to 600 ft from a standing start, about the same amount of time as it took me to throttle all the way in, under 10 seconds.” *** “Max level power came at around 2400 rpm,” he continues. “It doesn’t wind up like the Lycoming 235, which might be a prop difference. It accelerates to 110 knots and keeps going; in the pattern, you have to get right out of the power, like a jet, or the speed will wind up on you. To keep it in flap range, throttle back to 2000 rpm.” Runyon used 40 degrees of flaps and stayed high on short final intentionally. He’d been advised by Doc Bailey not to land at idle, given the gusty winds. *** “I approached at 70 and touched down around 55.” *** The Lycoming IO-233 makes the airplane a little lighter in the nose and balances within an inch of the original IO-235 installation. The engine weighs 38 pounds less, helping keep empty weight around 800 pounds, yet it still delivers 116 horsepower. The maidens are an important step in bringing the Falcon 2.0 to market after a false start with the previous importers. *** And if this beauty flies half as good as it looks, and the economy gathers steam, the biggest challenge for this ASTM-certified (with the O-235) sport flyer would seem to be simply getting it into production. I got an email today from Christopher “Doc” Bailey of Renegade Light Sport that the Falcon 2.0 just made its maiden flights with the brand new Lycoming IO-233-LSA engine. *** A video Doc linked to me gives the salient details. The Falcon LS was initially imported by T&T Aviation which sold the distributorship and inventory to Doc and his partners last July, as posted here earlier. You can read more on Doc’s ambitious plans to market 100 of these beauties with standard synthetic vision EFIS panels from Grand Rapids Technologies for $125,000 in my column due out next month. Falcon is the very first airplane to fly with the Lyc 233. Renegade is working with Lycoming and Champion Electronics to develop it. *** “We’ll fly it over the next few months,” says interviewer and 35 year Aeronautical Engineering Professor Fred Schieszer, “and report back to Lycoming and Champion, which is developing the electronic ignition system. Liftoff! ...for the first time with the Lycoming O-233 LSA engine. UCM professor Fred Schieszer interviewed test pilot Rob Runyon (C) and chief mechanic David Costello. Renegade owners Frosty Hoefer (C) and Chris Doc' Bailey (R). Catch the whole video interview. October brought the first flight of the Lycoming O-233 in a Falcon Light-Sport Aircraft. This adds the famed Lycoming nameplate to a stable of LSA powerplant brands including Rotax, Jabiru, and Continental plus the CubCrafters CC340 engine. To these, we can now add the Lycoming O-233 LSA engine. *** "Our first flight flew well right out of the box," reported test pilot Rob Runyon. "The O-233-powered Falcon performed well. I have no squawks." On the maiden flight, the Lycoming O-233-powered Falcon logged 0.6 hours doing four take offs and landing. Runyon said it was a gusty day (15G23) but the Falcon handled well. "It was fun to be 1,000 AGL by the end of a 4,000 runway. I saw acceleration through 80 knots at 1,500 fpm. It went right to 110 knots and felt like it could hit 120 knots." *** Of 110 LSA models on the market, the flight of the Falcon represents a first for Lycoming (although a Florida RV-9 ELSA was fitted and flown with the older O-235). *** Chris "Doc" Bailey and Frosty Hoefer are the owners of Renegade Light Sport LLC, which is organizing to build the Falcon in Lee's Summit, Missouri. When the Falcon was introduced to America, Bailey was a distributor for T&T Aviation. But recently he reported, "I was able to buy T&T's distributorship and entire inventory." 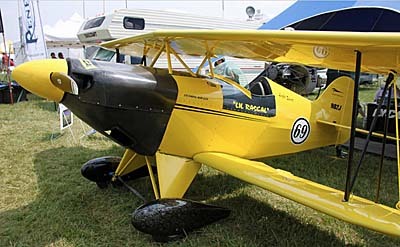 T&T started the work with the Lycoming four-cylinder engine and Bailey's Missouri team has now taken over its development. *** Bailey says they can install either O-235 or the O-233 but the newer engine, "has knocked off almost 40 pounds off by lightening components like the flywheel. It has CDI ignition and a fuel injection package is expected in November." *** At a max continuous power setting of 2400 rpm, the O-233 provides 100 horsepower although max power available is 115 mph at 2800 rpm. The extra boost pays off in fast climb but test pilot Runyon said you need to back off to about 2000 rpm in the pattern or the Falcon will speed right to 120 knots. Fuel burn at 2400 rpm is 5.2 gph, stated Bailey. The direct-drive (no gearbox) O-233 sets a new benchmark for LSA powerplants with a 2,400-hour TBO. 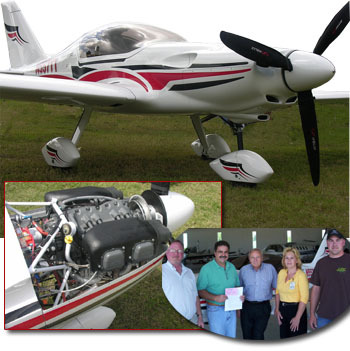 Renegade Light Sport reports working closely with Lycoming and Champion Aerospace to develop this engine and its ignition system. October brought the first flight of the Lycoming O-233 in a Falcon Light-Sport Aircraft. This adds the famed Lycoming nameplate to a stable of LSA powerplant brands including Rotax, Jabiru, and Continental plus the CubCrafters CC340 engine. To these, we can now add the Lycoming O-233 LSA engine. *** “Our first flight flew well right out of the box,” reported test pilot Rob Runyon. “The O-233-powered Falcon performed well. I have no squawks.” On the maiden flight, the Lycoming O-233-powered Falcon logged 0.6 hours doing four take offs and landing. Runyon said it was a gusty day (15G23) but the Falcon handled well. “It was fun to be 1,000 AGL by the end of a 4,000 runway. I saw acceleration through 80 knots at 1,500 fpm. It went right to 110 knots and felt like it could hit 120 knots.” *** Of 110 LSA models on the market, the flight of the Falcon represents a first for Lycoming (although a Florida RV-9 ELSA was fitted and flown with the older O-235). Back finally from 12 days at Oshkosh and the DC-3 fly-in that preceded it, I'm cranking out images and stories gathered there but couldn't wait to get this one to you. *** Below is a condensation of my column that will run in the November issue. It involves an airplane that caught everybody's eye when it debuted a few years back, but languished from lack of development and promotion and seemed on its way to obscurity. *** It was called the Phantom then, when T&T Aviation brought it to America from its native Hungary. *** Cruising into the big Lycoming display at Oshkosh in search of the new 115 hp, IO-233-LSA, I was once again gobsmacked by the low-riding, beautiful Falcon LS -- the name T&T certified it under back in 2008 -- as number 82 on the current list of 109. *** In the interim, Renegade Light Sport and its principal go-to guy Chris "Doc" Bailey have just bought out T&T's interest in the LSA. For various reasons T&T decided they couldn't fully run with the project. *** Meanwhile, Doc has some big, big plans. *** Here are the highlights: The supersexy Falcon LS resembles a Red Bull race plane for a good reason: its makers, Corvus Aircraft of Hungary, also build the Racer 540 that crack pilot Peter Bensenyei flies in Red Bull Air Races. 15,000 hour professional pilot Doc Bailey has already ordered the first 100 Lycoming IO-233 engines and plans to put them in Falcons...and sell the first 100 for $115,000! Why is that news? Every one of those Falcons will be delivered with Grand Rapids synthetic vision EFIS...with built in GPS...and built-in autopilot. That makes the price considerably more attractive. Can you say "loss leader?" Doc plans to build the airplane entirely in Kansas City, making it an all-American product. 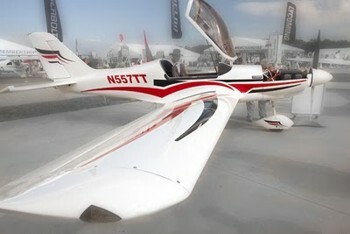 The airplane is all-composite construction, with kevlar, carbon fiber and e-glass components. *** "We hope to give a boost to the market," Doc says with infectious enthusiasm. If he can pull this off, it sure won't hurt! He plans to have that first 100 Falcons out and flying "within two years -- and every airplane will have the IO-233 -- with fuel injection." New owners will be given checkout transition training for free...as much as they need and want. 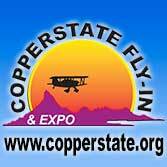 *** Stay tuned...once they've flown off the hours, I hope to fly the airplane at the Midwest LSA Expo next month. *** Meanwhile, it's great to see the Falcon LS back in the news...it is an exciting, gorgeous LSA with a conventional American powerplant that should push a lot of LSA buyers who've been waiting right off the fence and into LSA ownership...because that terrific price won't hold forever. Back finally from 12 days at Oshkosh and the DC-3 fly-in that preceded it, I’m cranking out images and stories gathered there but couldn’t wait to get this one to you. *** Below is a condensation of my column that will run in the November issue. It involves an airplane that caught everybody’s eye when it debuted a few years back, but languished from lack of development and promotion and seemed on its way to obscurity. *** It was called the Phantom then, when T&T Aviation brought it to America from its native Hungary. *** Cruising into the big Lycoming display at Oshkosh in search of the new 115 hp, IO-233-LSA, I was once again gobsmacked by the low-riding, beautiful Falcon LS — the name T&T certified it under back in 2008 — as number 82 on the current list of 109. *** In the interim, Renegade Light Sport and its principal go-to guy Chris “Doc” Bailey have just bought out T&T’s interest in the LSA. Never Say Die Dept: A St. Louis, MO. dealer calling itself the Renegade Light Sport Mall offers several LSA for sale, and the company's not shy about finding the market wherever it's hiding. 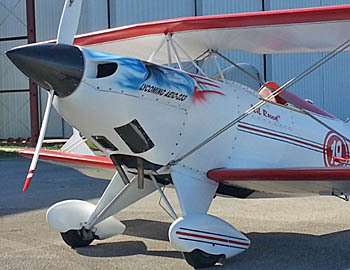 *** I stumbled across this listing on Ebay for the FALCON Light Sport Aircraft, which Renegade champions in the auction as THE BEST LIGHT SPORT AIRCRAFT ON THE PLANET. *** We're glad to see the Falcon hanging in there. It's a very attractive U.S.-made airplane with a Lycoming engine. We've had our eye on it for some time but haven't been able to get a flight in yet...maybe at Sebring. Never Say Die Dept: A St. Louis, MO. dealer calling itself the Renegade Light Sport Mall offers several LSA for sale, and the company’s not shy about finding the market wherever it’s hiding. *** I stumbled across this listing on Ebay for the FALCON Light Sport Aircraft, which Renegade champions in the auction as THE BEST LIGHT SPORT AIRCRAFT ON THE PLANET. *** We’re glad to see the Falcon hanging in there. It’s a very attractive U.S.-made airplane with a Lycoming engine. We’ve had our eye on it for some time but haven’t been able to get a flight in yet…maybe at Sebring. The original Corvus had features that didn't make it into the SLSA Falcon LS (a power-opening canopy with remote clicker for example), but it kept most of the handsome lines of the former. It has that go-fast look even while sitting at rest. Click for more specs. Perhaps it's the race to get ready for AirVenture 2008. Perhaps it was simply the result of months of work which finished right before the big show. Either way, welcome our newest SLSA, the Falcon LS. *** You first became aware of this airplane as the Corvus , seen at the Aero airshow in April 2005. The gorgeous Hungarian design was created in a country lacking a bilateral agreement, government-speak meaning it could not be exported to the U.S. as a ready-to-fly LSA. So, Tomas Becse and Thomas Pizzuti -- the twin Ts of T&T Aviation -- are using the basic design and doing assembly in the USA to bring the shapely low wing to American customers. 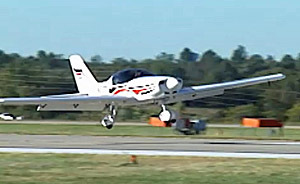 *** Other than Jay Kurtz's Experimental LSA RV-9, Falcon LS is the first Light-Sport Aircraft to offer the 116-hp Lycoming O-235 (photo) as a powerplant. 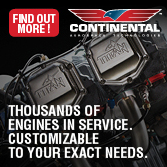 T&T also offers the Continental O-200, Rotax 912S, or Jabiru 3300, so you have a wide choice of powerplants. Though slightly slower than the LS with other engine choices and though heavier (empty weight increases to 828 pounds, 60 more than with the Rotax), some general aviation pilots might choose the Falcon LS solely for this reason. Perhaps it’s the race to get ready for AirVenture 2008. Perhaps it was simply the result of months of work which finished right before the big show. Either way, welcome our newest SLSA, the Falcon LS. *** You first became aware of this airplane as the Corvus , seen at the Aero airshow in April 2005. The gorgeous Hungarian design was created in a country lacking a bilateral agreement, government-speak meaning it could not be exported to the U.S. as a ready-to-fly LSA. So, Tomas Becse and Thomas Pizzuti — the twin Ts of T&T Aviation — are using the basic design and doing assembly in the USA to bring the shapely low wing to American customers. 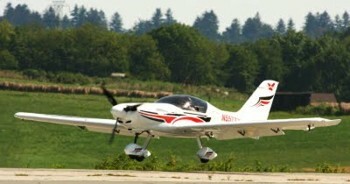 *** Other than Jay Kurtz’s Experimental LSA RV-9, Falcon LS is the first Light-Sport Aircraft to offer the 116-hp Lycoming O-235 (photo) as a powerplant.